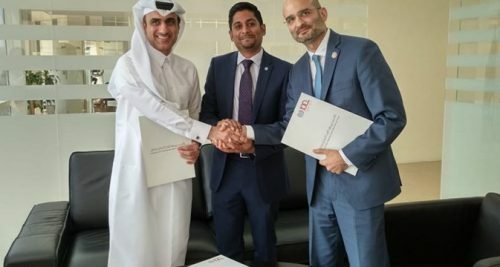 From left to right: Mohamed Hassan Al Obaidly, assistant undersecretary of labour for the Ministry of Administrative Development, Labour and Social Affairs of the state of Qatar; Ruwan Subasinghe, ITF legal advisor; Houtan Homayounpour, head of the ILO Project Office in Qatar. The parties agreed on steps to implement activities outlined in the TCP, specifically focusing on transport workers. This breakthrough follows the recent announcement that the majority of migrant workers in Qatar covered by the labour code will no longer have to obtain exit permits to leave the country. ITF general secretary Stephen Cotton commented: “We believe that this meaningful cooperation provides a clear message to the regional and global community that the government of Qatar is fully committed to the TCP and workers’ rights generally.